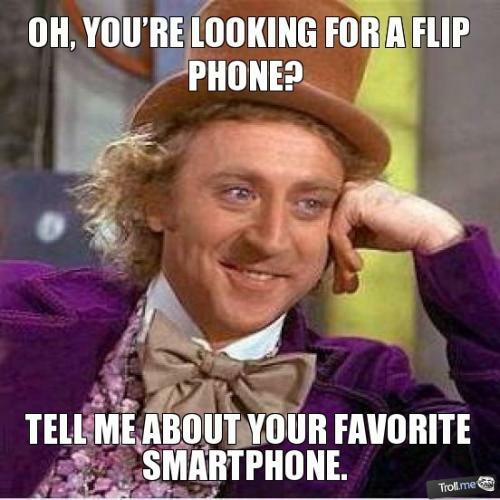 OH, you're looking for a flip phone? Tell me about your favorite smartphone. OH, you're looking for a flip phone? Tell me about your favorite smartphone.